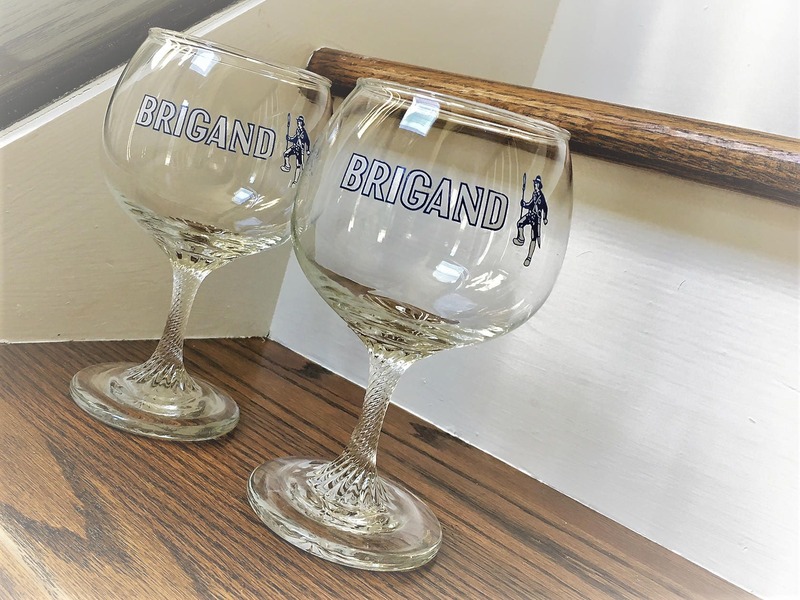 Offer here are two hard-to find Belgian beer glasses. 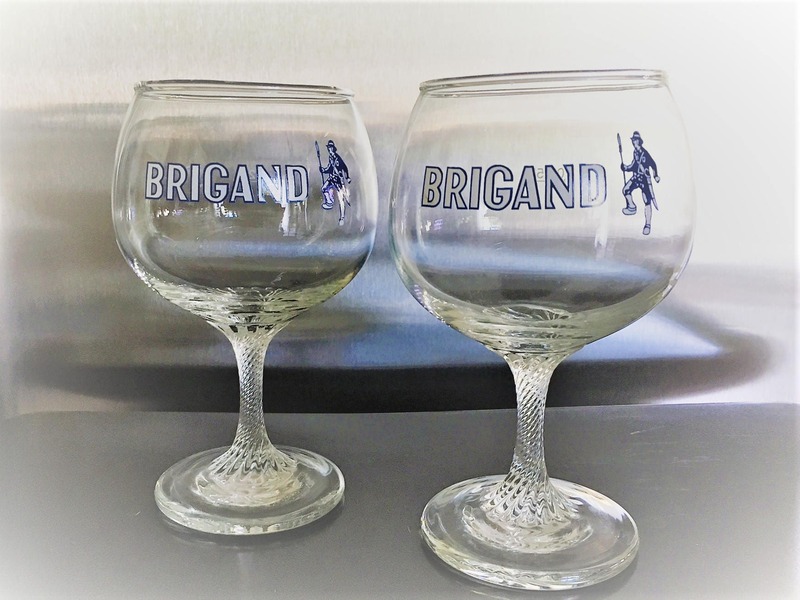 These 0.25 liter glasses are for Brigand beer from the Van Honsebrouck brewery in Belgium. They are about 6 1/2 inches tall and 3 inches in diameter at the mouth. 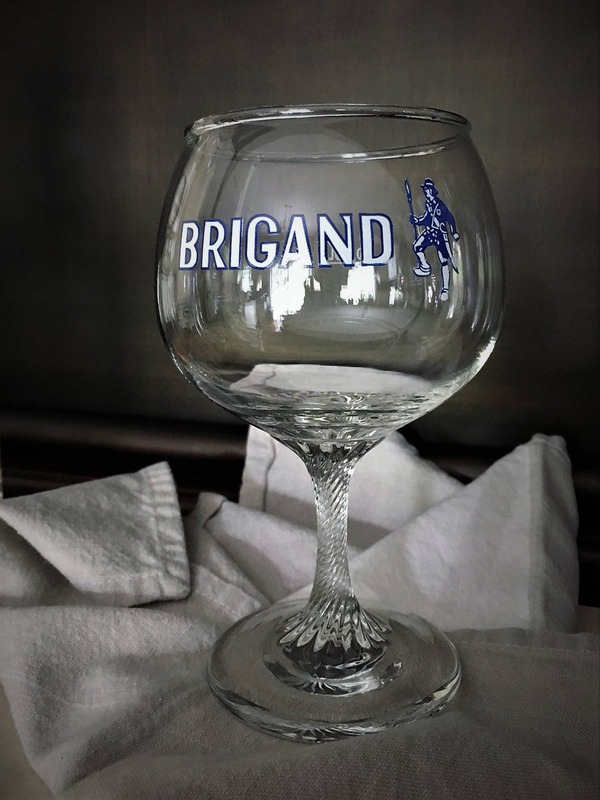 The bowl is about 4 inches in diameter at its widest point. The logo is bold and bright. 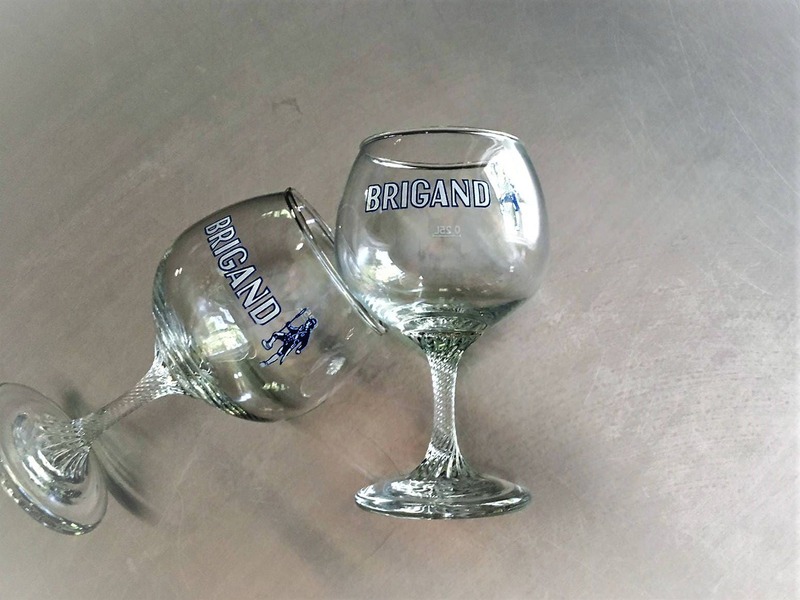 The glasses are free from cracks or chips.